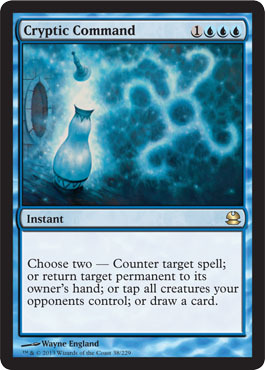 Choose two -- br - Counter target spell. br - Return target permanent to its owners hand. br - Tap all creatures your opponents control. br - Draw a card.